Keto Low Carb Pancakes are made with only a few ingredients and sneaks in low carb squash, without compromising taste or adding grittiness. 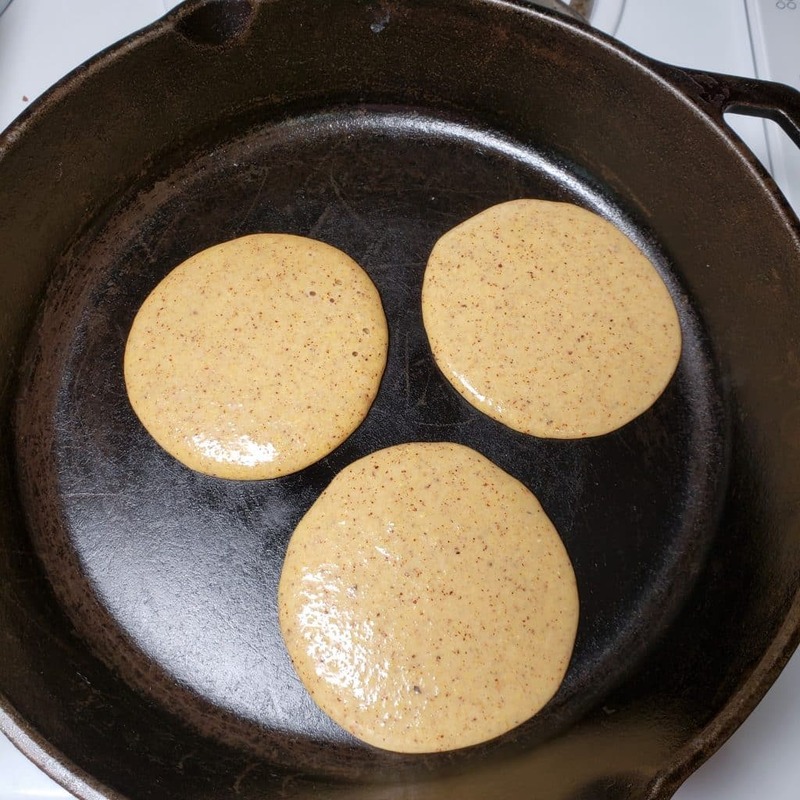 Do these Keto Low Carb Pancakes not look fantastic? There are veggies in this recipe. And it is not butternut or acorn squash, which are higher in carbs and sugar. 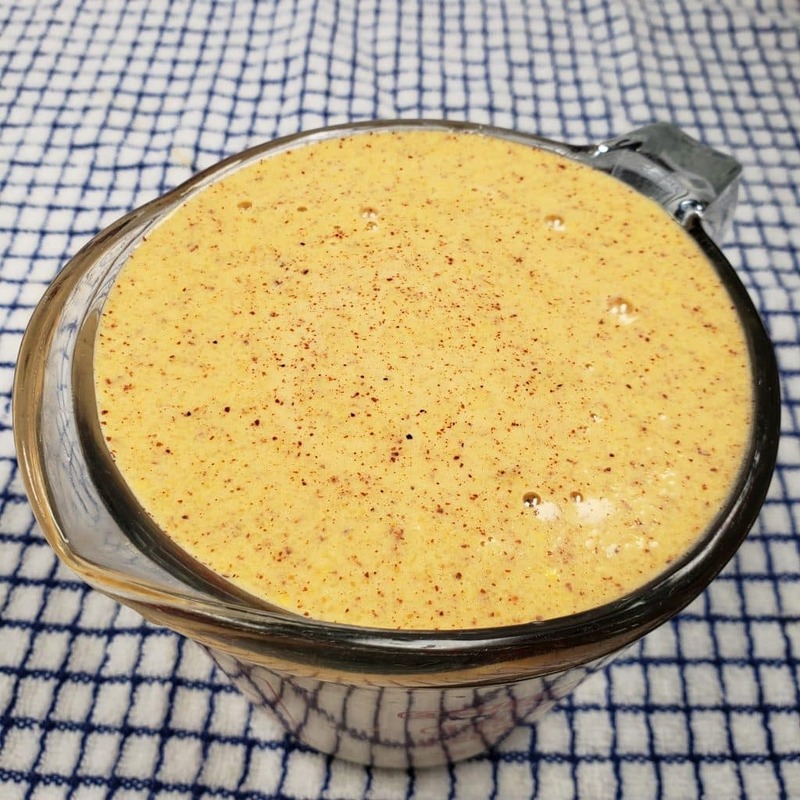 There is a pancake recipe in the movie, The Magic Pill, which is made with squash, eggs and almond butter. After looking up the recipe, I discovered that the squashed used was cooked butternut squash. I love that squash, but it is higher in carbohydrates and sugar. For the paleo diet, it’s great. But, not for keto and low carb diets. Zucchini and crooked neck squash are both lower in carbs, but contain a lot of water and when cooked become very juicy. Hmmmm, I was determined to figure out a way to make pancakes in similar fashion to The Magic Pill. 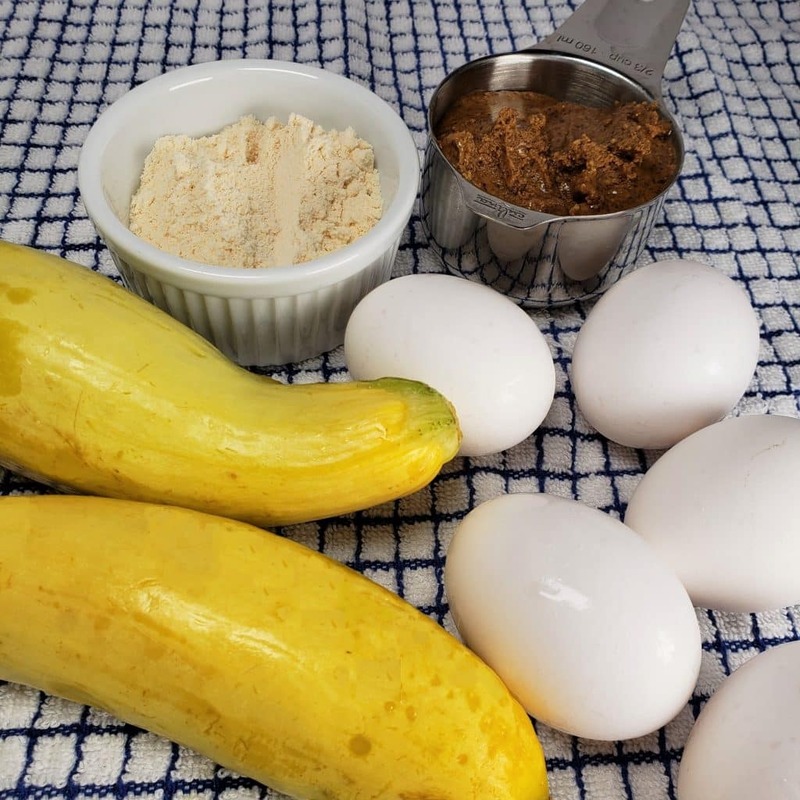 Ingredients for Keto Low Carb Pancakes. Crooked Neck Squash – zucchini will work too, I just didn’t want green pancakes. Coconut Flour – this helps bind the ingredients and absorbs all the excess water from the squash. So, now you know the sneaky ingredient is crooked neck squash. So many times, low carb and keto bready products are gritty from the low carb products used. While my Low Carb Belgain Waffle Recipe are really good, they almond flour does cause a bit of a gritty finish. These Keto Low Carb Pancakes are nice and smooth!!! Yes, I know, this looks really gross. I promise that there is no taste of squash in the pancakes. The squash is raw too! I didn’t want to have to first cook the squash, as who has time for that in the morning? 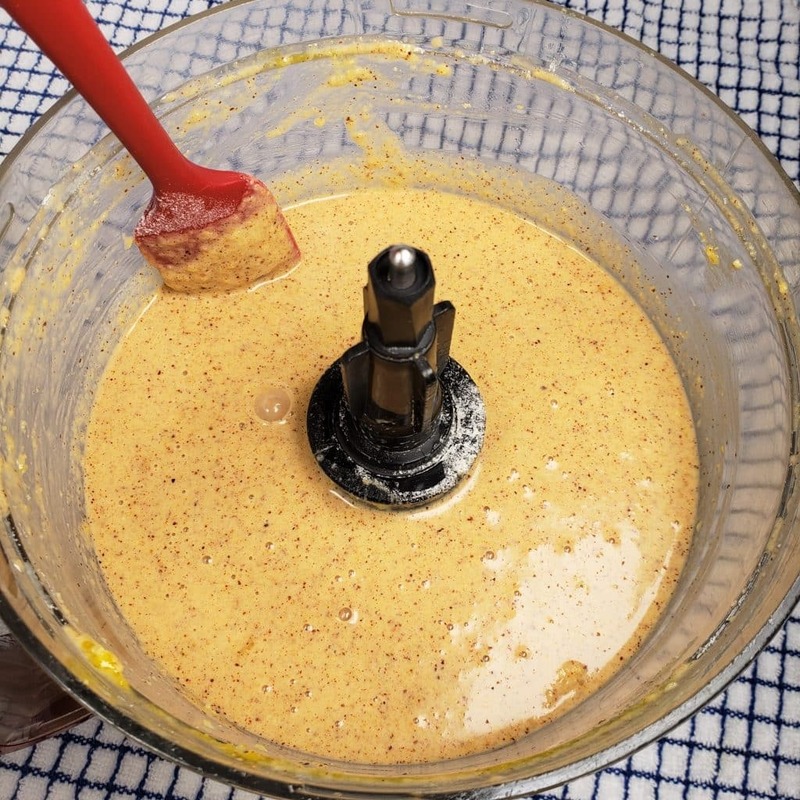 A food processor is the best way to get the batter to a nice and smooth consistency. 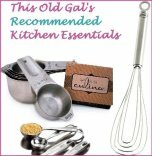 It is a great kitchen tool to have and I use it in so many of my recipes. For example, you can see it my TOG All Purpose Low Carb Seasoned Breading recipe. Scrape Down the Inside of the Bowl! When using a food processor, some of the food will stick to the sides of the bowl. It’s good to stop the motor, remove the lid and scrape down the side. I am partial to the di Oro Living Silicone Spatulas Set. This way, everything will be well combined. Butternut squash has a denser flesh than crooked neck squash. To combat all the water, I figured coconut flour would do the trick, as it absorbs water like a sponge! A large measuring cup or other bowl with a pour spout will help when you begin to make the Keto Low Carb Pancakes. Scrape down the inside bowl of the food processor and processor again. Start with a hot skillet or griddle. Let the batter sit in order to thicken. Wait until bubbles are seen around the edges of pancakes before flipping. I don’t get it. In person, this cast iron skillet is completely pitch black, slick and beautiful. My photography is not professional by any means, but, what the heck? My lights are casting odd things. The batter is thick enough not to spread eagle. The pancakes look nice and round just by a hand pour! 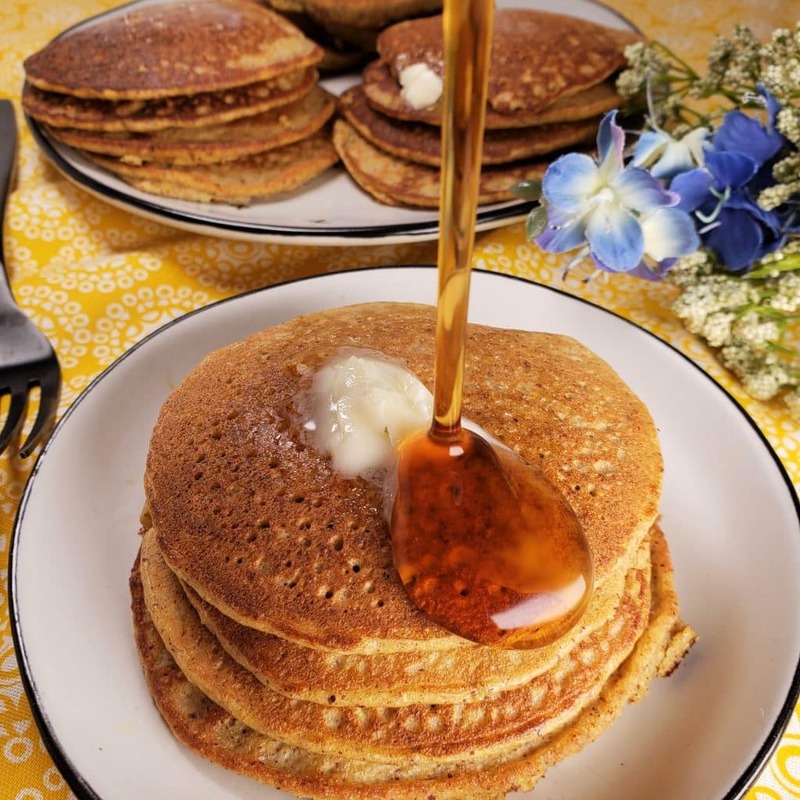 Enjoy with a low carb maple syrup and lots of butter! More Yummy Low Carb Breakfast Recipes to Try. 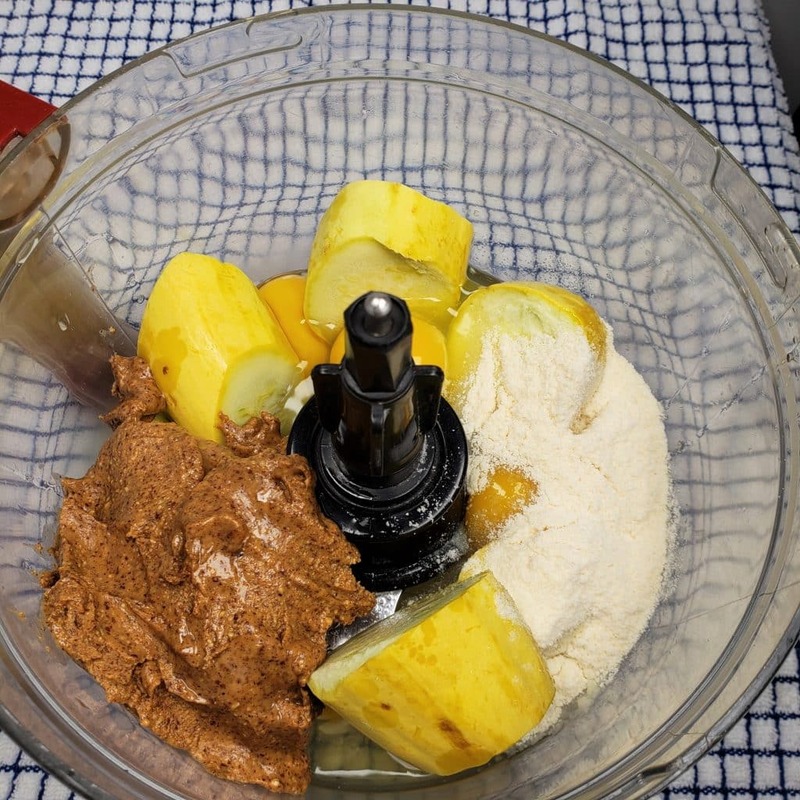 Add all ingredients to a bowl of a food processor and process until smooth. Make sure to use a spatula and scrape down the sides of the bowl and then process again. Pour into a large bowl and let sit 10 minutes to thicken. Heat a cast iron skillet or griddle and after it is hot, add just enough coconut oil to lightly cover the bottom. Pour about 1/4 cup of batter for each pancake onto hot skillet. 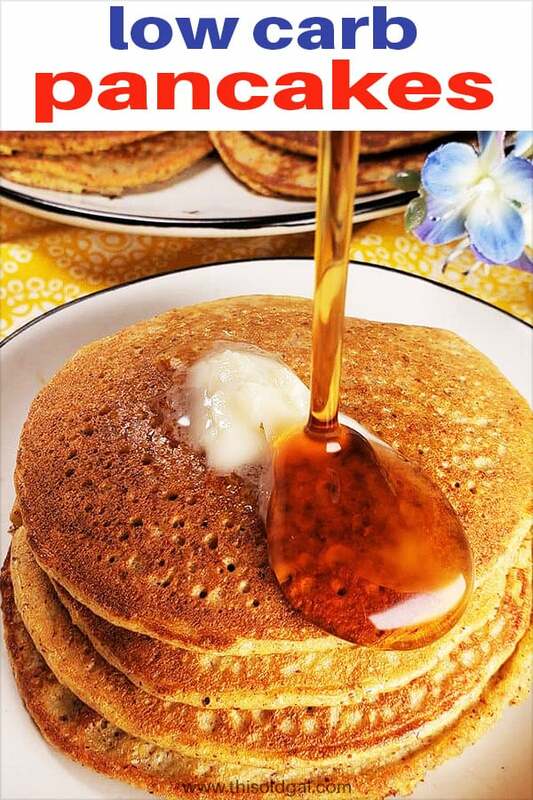 When the edges begin to bubble, flip over the pancakes. Add more oil to skillet as necessary. Serve with a pad of butter and low carb syrup. PIN this Keto Low Carb Pancakes! if you can help: I am keto by myself and 20 pancakes are too much. Could the batter be frozen. Or, how long does it keep in the fridge. I was going to cut in half, but not sure how to divide 5 eggs. thanks. so much..
Ok, my picky husband said, “They are the most pancake like thing you’ve made yet!” He loves peanut butter, as do our boys. The added veggies are a huge plus. The only complaint is that they are quite salty by themselves. I usually eat my pancakes with whipped cream, but these are too salty for that. So I put some sweet cinnamon butter on them and it covered up the salt, so syrup probably will as well. That being said, next time (and there will DEFINITELY be a next time) I’m going to half the salt. Do you think I could substitute yellow summer squash for the crookneck? I’ve never seen crookneck for sale where I live. Thank you. Thank you. 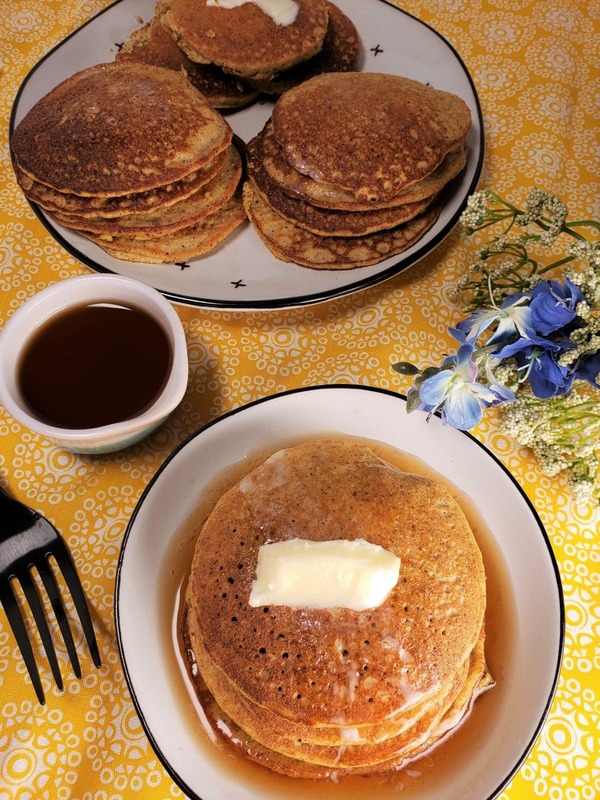 One more question: is it 2 carbs per pancake? Says 20 pancakes, 2g carbs in each (does not say NET carbs) but there is ig of fiber so…. is it 1 NET carb?? I will certainly try this–with PB or pecan butter. I used zucchini and the appearance was reminiscent of a multigrain pancake. The consistency was the best I’ve tried. Tested by 3 family members and all gave the thumbs up. I will certainly be making these in rotation. If you can not have nuts what ells can u use.